"Kendare Blake is the author of several novels and short stories... Her work is sort of dark, always violent, and features passages describing food from when she writes while hungry. She was born in July (for those of you doing book reports) in Seoul, South Korea, but doesn’t speak a lick of Korean, as she was packed off at a very early age to her adoptive parents in the United States. That might be just an excuse, though, as she is pretty bad at learning foreign languages. She enjoys the work of Milan Kundera, Caitlin R Kiernan, Bret Easton Ellis, Richard Linklater, and the late, great Michael Jackson, I mean, come on, he gave us Thriller. She lives and writes in Kent, Washington, with her husband, their cat son Tyrion Cattister, red Doberman dog son Obi-Dog Kenobi, rottie mix dog daughter Agent Scully, and naked sphynx cat son Armpit McGee." Have you always wanted to write a young adult novel? Well, I've wanted to be a writer since I was very young, and YA didn't exist as a category. YA, in the way we think of it now, is a pretty young thing. New. Still figuring itself out. So no, I didn't always want to write a YA novel, because I wasn't aware that was a possibility! Do you listen to music while you write? If so, what do you listen to? I can't write to music. At least not music I like. That makes me just jam and daydream. No work gets done. If I'm going to write to noise, the Food Network is nice. Very soothing. I alternate. Coffee one day and tea the next. Always sweetened to the point of ridiculousness. What authors do you think have influenced you the most as a writer? Every single author I've ever read. There's always something to learn. Some stain the books leave on me. Even if I'm not aware of it. Consciously, I would say Caitlin R Kiernan, Milan Kundera, Bret Easton Ellis, Angela Carter, Stephen King. Not that I write like ANY of them. But I definitely learned things. Did you have a writing schedule while you worked on One Dark Throne? What did your average day of writing look like? An average day consists of wearing my dog and cat children out so they'll leave me alone to write, then dinking around on emails and the internet for a while, then feeding my dog and cat children so they're not hungry and will leave me alone to write, then writing for the entire afternoon/evening. 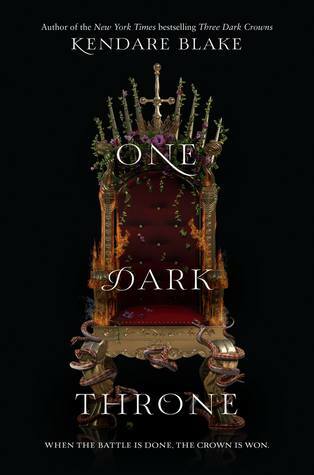 I can't remember how much time I had to write One Dark Throne, but I don't think it was as much as I would have liked. 2016 was a busy year. Metaltown by Kristen Simmons. I love Ty, the heroine in that. Very industrialist setting, very scrappy protags, very gritty stuff. Also, I just feel like not enough people have read Wink, Poppy, Midnight by April Genevieve Tucholke. 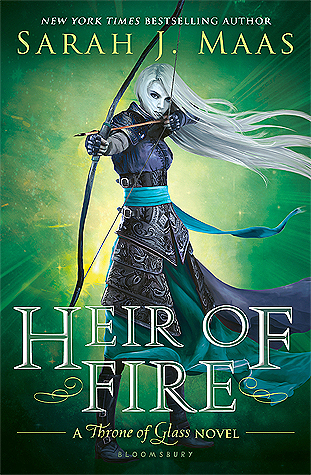 There can never be enough readers for these two books.